Seventh century Britain was a time of great conflict and turmoil. Peoples and religions clashed, vying for supremacy over the kingdoms and fertile lands of the island also known as Albion. 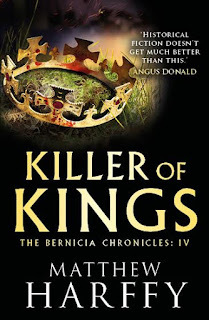 This dark age is the time of the Bernicia Chronicles, a series of action-packed thrillers that centre on the character of Beobrand, a young man who is thrust into battle, discovers he is a natural warrior and eventually enters the service of the lords and kings of Britain’s distant past. By the time we reach WARRIOR OF WODEN, book five and the latest novel in the series, Beobrand’s life has been filled with excitement, intrigue and more than its share of tragedy. At only twenty-six, he has long since transformed from a naive farm boy into a ruthless warlord. He has stood in shieldwalls, slaying the enemies of his king and been rewarded with land and riches. He has found love, and lost it all too quickly. He has travelled from the southern kingdom of his homeland of Cantware (Kent) all the way into the northern realm of Dál Riata to the isle of Hii (Iona). Beobrand has witnessed the resurgence of the religion of the Christ, and he has even stood against the dark power of the old gods, wielded at the hands of a cunning woman seeking revenge against him. Beobrand’s world is one of violence and vengeance, but in WARRIOR OF WODEN, he is no longer free to pursue his own quests against those who have wronged him. Time has passed and after the resolution of many story lines in the fourth book, KILLER OF KINGS, Beobrand is now oath-sworn and bound by his words and promises more strongly than any ropes or chains ever could. It has been six years since the action in the last book and eight years since Oswald took the throne, aided by Beobrand. Elevated by the king to thegn as reward for his fealty, Beobrand is now a wealthy warlord, with a sizable warband. But battle is once again brewing on the borders of Northumbria, Beobrand’s adopted kingdom. 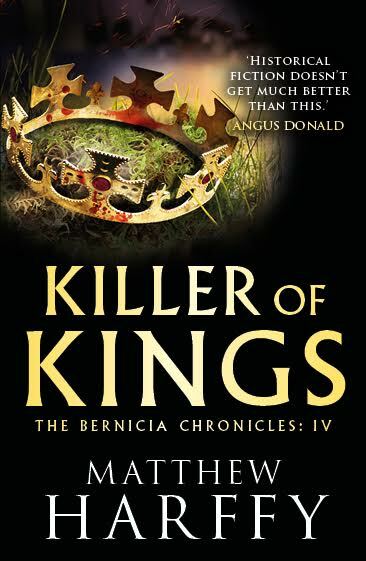 Penda of Mercia, the great killer of kings himself is planning to invade and Beobrand is called upon to stand in an epic battle where the blood of many will be shed in defence of the kingdom. Writing a novel is a unique challenge. Writing a series of books comes with an extra set of difficulties. Readers expect a certain flavour they have come to recognise. They wish to revisit the same characters they have grown to love, or hate. They want some familiarity, but at the same time, they do not wish to be bored. Readers want to be thrilled and excited by new, fresh twists, not to have the same old stories repeated. And then there is the issue of new readers. 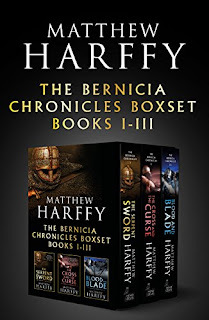 It is always in my mind that a reader might come to the Bernicia Chronicles at any point and so each novel must stand on its own merit, providing a satisfying read as well as adding to the overall series. In WARRIOR OF WODEN, Beobrand has grown as a leader of men and as a man. His friendships from previous stories have matured and he has less self-doubt. He has more wealth and is now secure in his position. But with that position comes greater responsibility and in this story Beobrand sees his prowess in battle tested more than ever and his oaths and loyalties stretched to the limit. He leads his friends into the bloodiest battle he has faced yet and, as with all warfare, not everyone returns alive and nobody escapes unscathed. The passage of time since the action of the previous book has allowed me to start afresh, creating new backstory, adding new characters, both friend and foe, and providing even more depth to the world Beobrand inhabits. 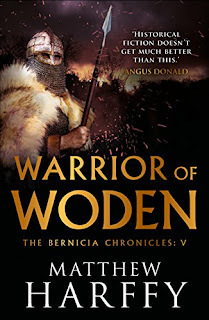 Whether you have already enjoyed the other books, or choose WARRIOR OF WODEN as the first book in the series to read, follow Beobrand on a breakneck ride of an adventure as he stands in the climactic clash between the pagan Penda and the Christian Oswald. In this battle, which is one of the most important in the history of the island, there is much more at stake than sovereignty. This is a battle for the very souls of the people of Albion. 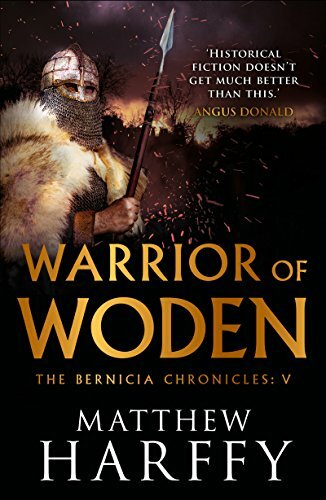 WARRIOR OF WODEN is published on 1st April. 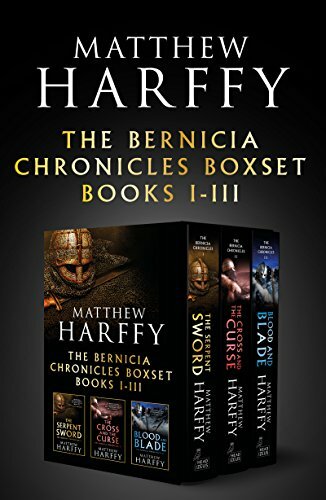 The digital boxset of the first three novels of The Bernicia Chronicles is currently available at a reduced price. BUY IT HERE. This blog post originally appeared on the Aria Fiction blog. I have seen an extraordinary number of films from all over the world. I can appreciate films in almost any genre. This is quite possibly, the greatest film ever made. The acting is beyond incredible - a film that speaks without dialogue. You don't have to be a sports fan because there is a statement about human nature in this film that will move anybody. I am generally fairly stoic - I almost never laugh or become emotional about films. I have seen this movie three times and each time I am drenched in tears. There is not another film that has ever managed to elicit much emotion from me. This film absolutely brutalized me to the core. There is something universal about the subtext that portrays loss, love, and redemption in a way that permeates the deepest irrational aspects of the human condition and reaches you in a way that is so profound, it is hard to describe. Hardy, Edgerton, and Nolte do something truly incredible that is never found in contemporary cinema. This is not a period piece or sociocultural commentary, it is about something far more innate and eternal. This film is a monumental achievement that will stay with you.